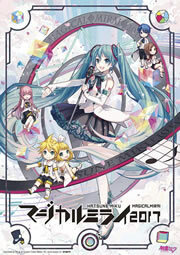 The upcoming Miku Expo 2018 this December in Europe gets its very own theme song released today titled “Music Like Magic!” exclusively composed by OSTER project. The full-length theme song is now online on the official Hatsune Miku Youtube channel. Listen now! In December 2018, Miku will be going through three cities in three different countries: Paris, France; Cologne, Germany; and London, United Kingdom. We hope everyone comes out to enjoy ‪the second leg of the #MIKUEXPO2018 tour!